Sunny and spacious rooms are available to rent in this stylish 7-bedroom property with several balconies near the Polytechnic University in Pedralbes. The property has an ample kitchen with everything you might need, including an oven, a dishwasher, a microwave, a washing machine, and a big dining table. There are 2 full bathrooms in the apartment, both of which have showers and plenty of storage space. Pedralbes is a lively, well-connected neighborhood just to the west of Barcelona's historic center. Nearby, you'll find lots to do, with the Camp Nou stadium, Palau Reial, and the Parc de Pedralbes all within close walking distance of the property. And you're in luck if you're a student: the Universitat Politècnica de Catalunya is also a short walk from your doorstep. Perfection. 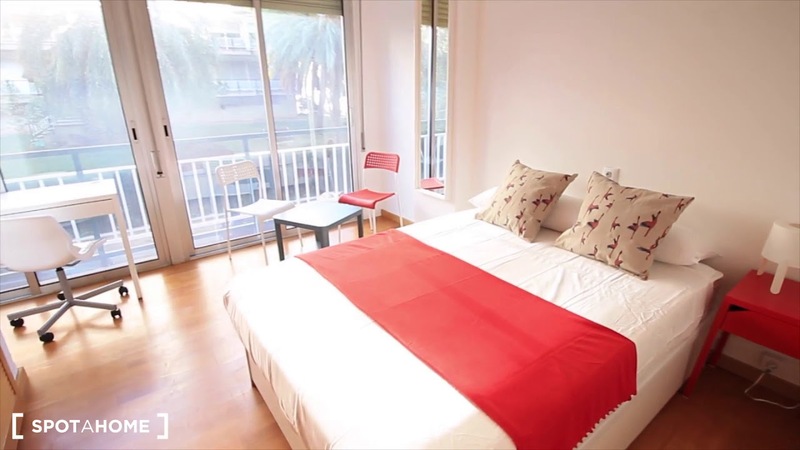 The apartment is a 3-minute walk from the Zona Universitária metro station.